Is it going to rain in Dubai? Dr Ahmad Habib, weather forecaster at the National Centre for Meteorology (NCM) told Gulf News that the country is experiencing low atmospheric pressure, which caused clouds to form over Dubai and the northern emirates. “Convective clouds will form on Tuesday afternoon and will bring in some rain by the night, which will continue into Wednesday,” said Dr Habib. 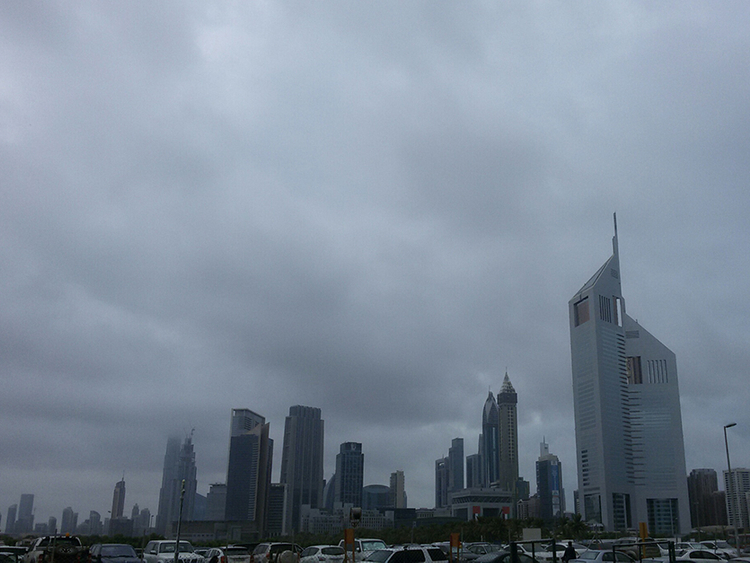 “Scattered showers will fall all along the northern emirates, especially across coastal areas. This will be accompanied with moderate to strong northwesterly winds, which will blow dust at times over exposed areas,” he explained. To help increase the chance of precipitation for this month, the NCM has already carried out six cloud seeding missions since November 1. It is important to note that such cloud seeding mission can increase rainfall by a maximum of just 30 per cent. Along with the light showers, residents can also expect a slight drop in temperature by one or two degrees Celsius. The unstable atmospheric pressure will cause the convective clouds to move towards the west by Wednesday afternoon, as they make their way towards Fujairah and the north of Al Ain. The lowest minimum temperature recorded this morning was 11 degrees Celsius near Jais Mountain at 5.45am. Minimum temperatures over the next two days are expect to touch between 20 and 27 degrees Celsius in coastal and internal areas, while it will reach lows of 15 degrees Celsius in the mountain area. The sea will be rough in the Arabian Gulf and moderate in the Oman Sea.